Insulin-Like Growth Factor-1 (IGF-1) is a polypeptide protein hormone that is one of the primary substances that is responsible for tissue growth in humans, including muscle growth (1). IGF-1 is primarily secreted by the liver, with a small minority of the circulating amount of the hormone being produced and delivered by other tissues. The basic function of the hormone is to induce cellular activities. For bodybuilders and strength athletes this compound could produce good results when used due to the ability of the compound to potentially enhance muscle hyperplasia, the actual increase in number of muscle cells in the body or particular muscle. This effect of muscle hyperplasia that IGF-1 can help promote is the primary reason why it has become so popular among bodybuilders. It is believed that IGF-1 may be able to produce localized growth in the muscles that the IGF1 is administered into post-workout. However this effect of the hormone remains more theoretical in nature because of the lack of research available on the subject using human subjects. Despite this many users still claim that they have seen results from IGF1 when using it for this explicit purpose and it remains within the realm of possibilities. However simply because science can not discount the result as implausible does not mean that it is a given either. Among the other anabolic effects that IGF-1 can produce in the body are things such as increasing protein synthesis, increasing nitrogen retention, as well as inducing the growth of more muscle fibers. When an appropriate amount of amino acids (protein) is available, all of these actions within the body are able to be completed. It has been demonstrated that IGF1 can help to improve collagen production as well as the reproduction of cartilage in joints (2). The hormone has also been shown to exhibit the ability to act as a neuro-protector and promoter (3) mainly because IGF1 receptors are located in the tissue of the brain (4). It has been demonstrated that there is a potential for when supplemented with IGF1 a decrease in the progress of some brain diseases can be brought about as well as slowing the deterioration of brain function in some elderly subjects. However similar findings or any evidence of improved brain function or capacity has not been demonstrated in young, healthy individuals. Obviously by helping to promote these anabolic mechanisms for growth IGF-1 also acts as an anti-catabolic. This would be beneficial to those users in a calorie deficit or in other circumstances that place them at risk of losing muscle mass. IGF1 also has the ability to positively affect lipolysis in users if other necessary conditions are met, namely proper diet and training protocols. When combined with the ability to preserve muscle mass, IGF1 appears to be an attractive choice for those that are attempting to decrease their body fat while maintaining as much of their muscle mass as possible. As stated, the IGF-1 produced by the human body is seventy amino acids in length. However a different IGF1 composition is available. Called Long R3 Insulin-Like Growth Factor-1 (LR3 IGF1), it has the original seventy amino acids of regular IGF1 with a substitution of Arginine in place of Glutamic Acid at position three in the sequence. Additionally thirteen more amino acids have been added to the sequence. This extension peptide is located at the N-terminus in the sequence. These alterations were made so that the hormone would be more likely to remain active and potent when it encounters Insulin-Like Growth Factor-1 binding proteins in the body (6). All of this adds up to LR3 IGF1 being potentially three times as potent as the regular version of IGF1, or human IGF1 (huIGF1). 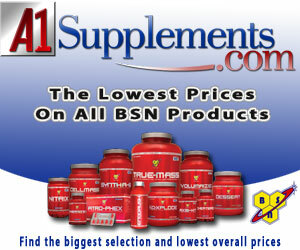 Obviously this makes LR3 IGF1 more attractive for strength athletes and bodybuilders. For this reason it is now the most widely available version for purchase due to the compound having all of the benefits of regular IGF1, and being potentially three times as potent, while having no additional risks or side effects to that of regular IGF1. 1. Smith GD, Gunnell D, Holly J. Cancer and insulin-like growth factor-I. A potential mechanism linking the environment with cancer risk. BMJ. 2000 Oct 7;321(7265):847-8. 2. Sienkiewicz P, Palka M, Palka J. Oxidative stress induces IGF-I receptor signaling disturbances in cultured human dermal fibroblasts. A possible mechanism for collagen biosynthesis inhibition. Cell Mol Biol Lett. 2004;9(4A):643-50. 3. Mendez P, Azcoitia I, Garcia-Segura LM. Interdependence of oestrogen and insulin-like growth factor-I in the brain: potential for analysing neuroprotective mechanisms. J Endocrinol. 2005 Apr;185(1):11-7. 4. Creyghton WM, van Dam PS, Koppeschaar HP. The role of the somatotropic system in cognition and other cerebral functions. Semin Vasc Med. 2004 May;4(2):167-72. 5. Barton-Davis ER, Shoturma DI, Musaro A, Rosenthal N, Sweeney HL. Viral mediated expression of insulin-like growth factor I blocks the aging-related loss of skeletal muscle function. Proc Natl Acad Sci U S A. 1998 Dec 22;95(26):15603-7. 6. Walton PE, Dunshea FR, Ballard FJ. In vivo actions of IGF analogues with poor affinities for IGFBPs: metabolic and growth effects in pigs of different ages and GH responsiveness. Prog Growth Factor Res. 1995;6(2-4):385-95. The actual medical purpose for insulin is to treat different forms of diabetes. Specifically the human body may not be producing insulin (Type-I diabetes) or may not recognize insulin well at the cell site although some level is present in the blood (Type-Il diabetes). Type-I diabetics are therefore required to inject insulin on a regular basis, as they are left without a sufficient level of this hormone. Along with medication, the individual will need to constantly monitor blood glucose levels and regulate their sugar intake. Together with lifestyle modifications such as regular exercise and developing a balanced diet, insulin dependent individuals can live a healthy and full life. Untreated, diabetes can be a fatal disease. As we have discussed earlier, regular insulin is the most popular choice and will be the subject of our intake discussion. Before one even considers using insulin, they should become very familiar with using a glucometer. This device gives you a quick number reading of your blood glucose level and can be indispensable in helping you manage your insulin/carbohydrate intake. Insulin is used in a wide variety of ways. The dosages can vary significantly among athletes, and are often dependent upon factors like insulin sensitivity and the use of other drugs. Most users choose to administer insulin immediately after a workout, which is likely the most “anabolic” time of the day to use this drug. Insulin is always injected subcutaneously, or below the surface of the skin but without entering muscle tissue. This is given by pinching a fold of skin, commonly in the arm or abdominal area. A small “insulin needle” is used, approximately ?â€ long, 27-29 gauge thickness and holding one third to one full cc. These are available over-the-counter in many states. A full cc (or ml) equates to 100 international units (l.U. ), a scale that is clearly labeled on an insulin syringe. It is important that the injection site be left alone after insulin has been injected and not rubbed. This is to prevent the drug from releasing into circulation too quickly. It is also a good idea to rotate injection sites regularly; otherwise a localized buildup of subcutaneous fat may develop due to the lipogenic properties of this hormone. Among bodybuilders, dosages used are usually in the range of 1IU per 15-20 pounds of lean bodyweight. First- time users should at first ignore body weight guidelines however, and instead start at a low dosage with the intention of gradually working up to this point. For example, on the first day of insulin therapy you could begin with a dose as low as only 2 lU. Each consecutive post-workout application this dosage can be increased by 1 IU, until the user determines a comfortable range. This is safer and much more tailored to the individual than simply calculating and injecting a dose, as many find they tolerate much more or less insulin than weight guidelines would dictate. Athletes using growth hormone in particular often have higher insulin requirements, as HGH therapy is shown to both lower secretion of, and induce cellular resistance to, this hormone. One also must remember that it is very important to consume carbohydrates for several hours following insulin use. One will generally follow the rule-of-thumb, of ingesting at least 10 grams of simple carbohydrates per IU of insulin injected (with a minimum immediate intake of 100 grams regardless of dose). This is timed approximately 20 to 30 minutes after the drug has been administered. The use of a carbohydrate replacement drink such as Ultra FueK by Twin Labs would probably be a good idea, as this is a fast and reliable carbohydrate source. 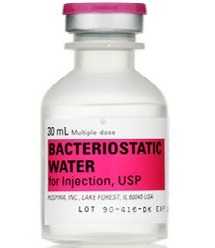 It is best to always have something like this on-hand should you begin to notice too low a drop in glucose levels. 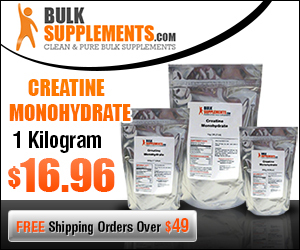 Many athletes will also take creatine monohydrate with their carbohydrate drink, since the insulin may help force the creatine into the muscles. An hour or so after injecting insulin, one will eat a good meal or consume a protein shake. The carbohydrate drink and meal/protein shake are absolutely necessary. Without them, blood sugar levels can drop dangerously low, and the athlete will most likely enter a state of hypoglycemia. Many athletes prefer to bring their insulin with them to the gym, injecting in the locker room (or car) immediately after a workout. Although insulin should be refrigerated, it is fine to keep it in a gym bag or car so long as it is not left out for too long and it is kept away from heat/direct sunlight. Rather than waiting to the end of a workout, some actually prefer to inject their insulin dosage during training, 30 minutes prior to the end of a session. Immediately following the workout the user will consume a carbohydrate drink in this case. Such timing may make the insulin more efficient at bringing glycogen to the muscles, but also increases the danger of hypoglycemia as carbohydrate consumption may be inadvertently delayed. Some will go so far as to inject a few units before lifting to improve their pump. This practice is risky and best left to those very experienced with insulin. Finally, some bodybuilders opt to inject insulin upon waking in the morning. After the injection they will consume a carbohydrate drink. Later, perhaps one hour after the injection, a full breakfast will be consumed. Some athletes find this application of insulin very beneficial for putting on extra mass while others will tend to store excess fat. If using more than one application of insulin per day it would also be a good idea to restrict the total daily intake to no more than 20-40 IU.